'Tango is a dance, but learning and teaching tango is not like teaching and learning other dances. Partially it is and partially it is not. Because of the “not” part learning tango should not be compared to learning a dance, but to learning a language. Tango as a dance consists of two components: your own movement and the giving/receiving of the impulse. This is because tango is based on IMPROVISING TOGETHER. When you learn a dance that you do alone in front of a mirror, you are perfecting your own movement and you are mostly performing choreographies. You are not inviting another person to follow your movement, nor are you learning to understand another person’s lead. In this, tango is much closer to contact improvisation. You can be an accomplished, say, ballet dancer and be totally hopeless in tango if you do not learn to communicate with a partner. "...tango is much closer to contact improvisation"
How do you learn a dance that is more like a language? In quite the same way your would learn a language. You will need vocabulary, pronunciation, grammatical rules and so on. So far nothing spectacular. But then comes the crucial point. In order to speak a language with ANOTHER PERSON you actually have to have something to say. And to be understood by others you have to be able to say it WELL. And that has nothing to do with the language itself. You see, a language teacher can teach you a lot about structure and order. But the creativity in what you are actually saying comes from another place entirely. A major problem for tango teachers is that they have to teach you a language AND be literature professors at the same time. They have to teach you to understand, love and master READING in that new language. They also want to teach you CREATIVE WRITING in the language. Can a tango teacher teach you to say interesting things? And to say them well? Can a tango teacher actually teach you how to dance? Yes, they can. They CAN be a language and literature professor and creative writing coach in one. But they have to know how. Some of them do, and some of them don’t. Be patient with tango teachers, for theirs is not an easy task. The most heard critic of tango teachers is: why do you keep teaching people sequences? They start dancing like robots. They just repeat the same sequences. They never get to the creative part. Why do you teach people complicated figures? Why don’t you teach people how to walk properly, to enjoy, you know, the SMALL STUFF? "They start dancing like robots." You have to understand that, if steps are “words” in tango, the sequences are its poetry. Sequences are the haiku’s of tango, they are some dancer’s creativity made movement. Can you write poetry without first reading poetry? Yes, you can. But your poetry will probably become better if you read a lot of other people’s poetry. Sequences can be beautiful and not so beautiful, simple and complex, silly and serious, just like poems. It can be children’s verse and it can be Brodsky. The problem is not the sequences. They have to be DANCED WELL to really come alive. Tango teachers teach you sequences to teach you to DO THEM WELL and to nurture your own creativity. You also have to understand that not everybody will write his/her own poetry. That the majority of tango dancers will keep repeating the poetry of others. And a lot of tango professionals, too. Is that a problem? No. Do we get angry with musicians for always playing that damn Bach again? Not if it is played well. "...like a little lively fire..."
way to my foot. – That weight transfer of yours was delicious. The way you first slightly caressed the floor and then sailed there, smoothly like a boat on quiet waters. – I know! And I love how you accompanied me in your embrace as if I was a sleeping child." " ...and then sailed there, smoothly like a boat on quiet waters." Students need to reach a certain level of awareness to be able to understand and enjoy the SMALL STUFF. 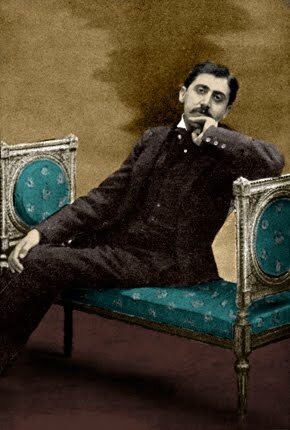 Before you can like Proust you have to read some children’s stories, some crap romance, some good romance, some thrillers, some chick lit, some Tolstoi. And some people will never like Proust. Some dancers will never like just walking. Some people will prefer playing with difficult figures to just sailing the dance floor. YOU as a teacher have had your fun with volcadas in those days when it was fashionable, haven’t you? Yes, the walk is the basis and the beauty of tango, but teachers, do not become caminata nazis, now and then give your students some other things “to read”. And then go back to what YOU like. Maybe YOU don’t like Proust that much, either. Do not judge your students for not liking (yet) the same thing you like. You have had some years to develop that preference, and they have not. "Maybe YOU don’t like Proust that much, either." While reading this article, particularly the italicised text 1, I was reminded of my own thoughts and feelings when dancing tango, and how difficult it is to transmit such to tango newbies. People have to be prepared for the aesthetics, the 'literature' , the 'Zen' of tango - and sequences (providing they're not too complex) are a good tool for that. I fully agree with Veronica's approach of teaching "the correct use of basic elements in the context of sequences." I'm not referring here to '48 step combinations', but rather showing people how to link moves that fit aesthetically well together. For example, a forward ocho flows on nicely from a parallel cross. A cross system cross is a beautiful conclusion to a backward ocho, and so on... They learn a few basic moves, link them together in a harmonious way, and voila the dance is created! While they are creating their dance; while they are enjoying the experience of dancing - they are also encouraged and inspired to work on the fundamental technique that is so essential to good dancing. 1 italics are not in original version and included here for emphasis.